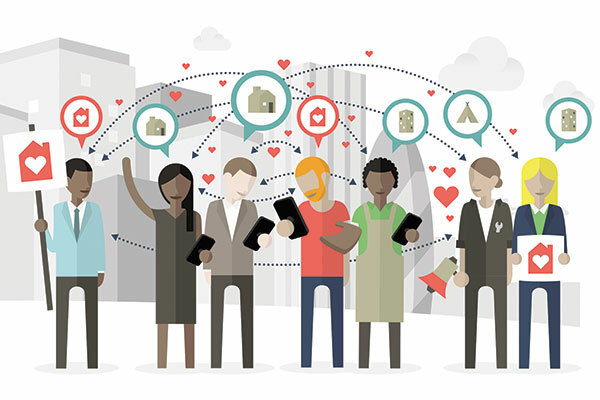 What is sharing economy and collaborative consumption? Let's try to give a clear definition of what is the sharing economy and how it affects online transactions. Once owning things was the indication of the status and those who had more money could own more things. Being a “two-car family” (or even three or four cars) was once a mark of status. But today with the development of the Sharing Economy, many millennials see more status in being a one-car or even zero-car family and making use of services like Uber, Lyft, CarGo, and others to use cars only when they need one. According to the Oxford English Dictionary, sharing economy is defined as an economic system in which assets or services are shared between private individuals, either free or for a fee, typically by means of the Internet. In fact, sharing economy is an umbrella term with a range of meanings, often used to describe economic activity involving online transactions that are done via any online marketplace. Sharing economy is an emerging, highly flexible economic network that allows people to share resources such as equipment, services, and skills with one another, often at significantly lower cost than traditional retail or employment arrangements. You can now get a loan directly from your peers, share the same office space with a lot of different companies, and stay at a stranger’s house instead of a hotel when you’re traveling out of the town. Sharing economy is also known by some different names as the “collaborative economy,” “collaborative consumption,” “collaborative platform”, “collaborative marketplace”, “local economy”, the “peer-to-peer economy”, etc where anyone can participate and is allowed to get by without owning valuable items, such as cars, houses, tools, money, etc while creating opportunities for others to extract value from idle possessions or talents. But it wouldn’t be possible without technology, as virtually all forms of collaborative consumption use the Internet to connect providers with customers, whether they are doing a car sharing through Turo or a house sharing through Airbnb, or looking for a place to board their dogs through DogVacay. The sharing economy relies on the will and intention of the users to share, but in order to make an exchange, users have to be trustworthy and trust each other. Not surprisingly, the Internet has made the option of marketing in the collaborative marketplace easier. A very familiar example of sharing economy is, suppose, you need to drill a hole in the wall to hang an item but you do not own a power drill. 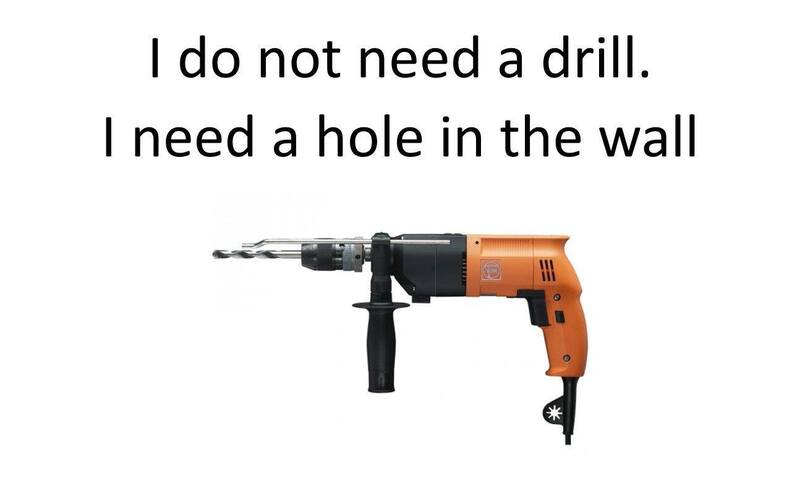 It is true that the average power drill is used for a total of 13 to 15 minutes throughout its lifetime (making it an underutilized physical asset). So, for its few minutes use only, you may regard it as expensive to buy a power drill and consider to “rent” it from an individual or business who owns one. In this way you can save some money. So, “Sharing” the asset offers economic benefits for both parties – the owner is compensated for lending an item he does not always use, and on the other hand, the renter is only paying for actual usage of the item. Actually, exchanging goods and services is not a new approach, but the digital advancement of the recent years has presented an elegant solution to make the sharing economy massive and international - online marketplaces - and the hype began. The sharing economy, also known as the collaborative economy, is taking off in all sorts of niches such as car sharing, house sharing, peer-to-peer lending, reselling, coworking, talent-sharing, etc. Here are 5 examples of international marketplaces based on this concept whose companies are successfully operating within the sharing economy. 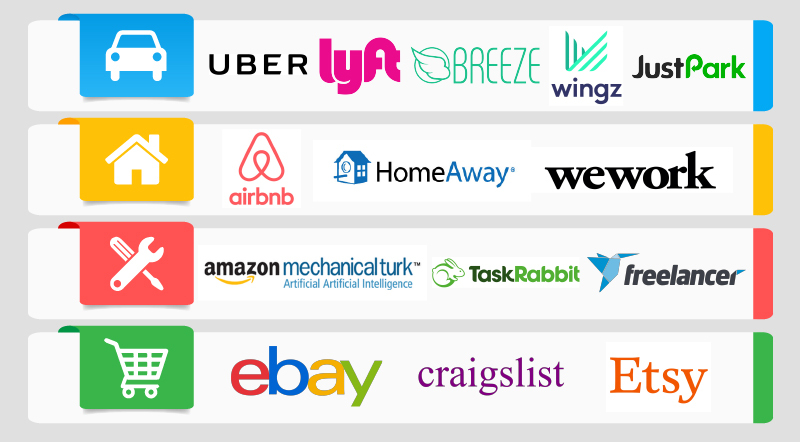 Most of them lead the way as sharing economy expands. Airbnb is a house sharing marketplace for people to list, discover and book unique accommodations around the world – online or from a mobile phone or tablet. Whether an apartment for a night, a castle for a week, or a villa for a month, Airbnb connects people to unique travel experiences, at any price point, in more than 65,000 cities and 191 countries. And with world-class customer service and a growing community of users, Airbnb allows you to monetize your extra space and promote it to a widespread, targeted audience. Uber is a carsharing online marketplace that allows individual drivers to operate like a taxi service by providing them a safe way to find clients and get paid. Uber has been a pioneer in the sharing economy. It is affordable, everyday rides for up to 4 people and there's a ride for every price and any occasion. Whether you're headed to the airport, a meeting across town, or home after a late night at the office, Uber works just as hard as you do. Just request a ride on-demand at over 400 airports across the globe. Couchsurfing is also an online marketplace that connects travelers with a global network of people willing to share life in profound and meaningful ways, making travel a truly social experience. Hosts open their homes to travelers for no charge, promoting cultural exchange and mutual respect. This sharing marketplace holds a global community of 14 million people in more than 200,000 cities who share their life, their world, their journey. With Couchsurfing, you can travel like a local, stay in someone's home and experience the world in a way money can't buy. Upwork is a popular collaborative marketplace for clients to get their jobs done by freelancers around the world. Actually, this sharing marketplace has taken the freelance market to a new level. Upwork online marketplace specializes in helping more traditional freelancers (writers, graphic designers, coders, etc.) connect with business owners looking to hire. This collaborative platform has made it possible to connect those offering services with those seeking the services. And thus, it plays an important role on the local economy. WeWork is only one of many companies operating within the sharing economy providing coworking spaces in big cities around the world. Freelancers, entrepreneurs, and telecommuters can rent a desk or an office without the overhead and cost of renting an entire building or suite. Prices are low enough that you can use it as you like, and the space offers some of the benefits of an office including meeting space, phone lines, internet, and often free coffee and even free beer and wine sometimes. With the development of technology, sharing economy has made the life of the world people easier. A very interesting fact about the sharing economy is that the company is rarely the actual service providers; rather they act as facilitators, making the providers’ and users’ dealing possible, easy, and safe. There are just sharing marketplaces that help them break down the barriers that otherwise exist to starting a business or a “side hustle” for many people and make it both easy and lucrative to participate in this collaborative economy.